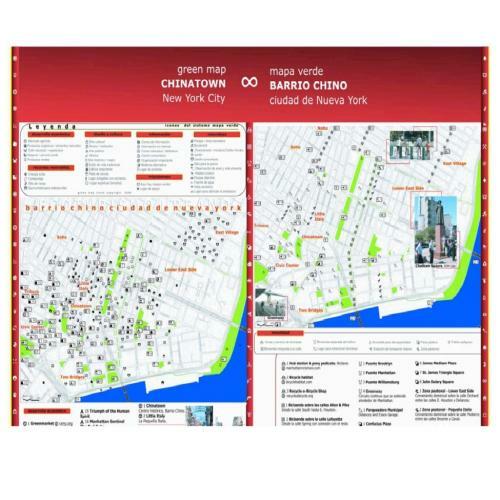 On June 1, 2006, Carlos Martinez, then a staff member of Green Map System, created a Green Map focused on New York’s Chinatown. This project was also part of Carlos’ university thesis project: an urban ecotourism proposal towards the revitalization of public spaces by means of usage, valuation and conservation. 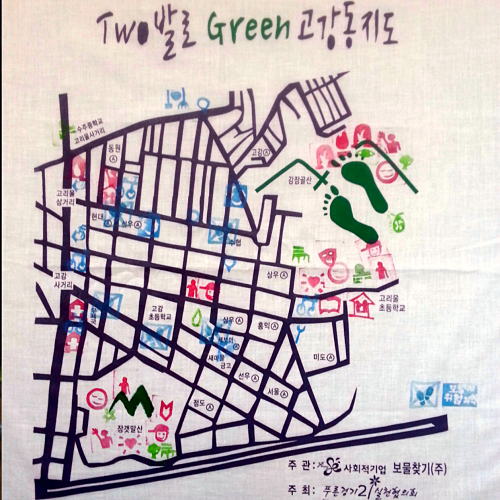 This research's study area was defined by a concentration of Asian residents of over 50% (based on U.S. Census 2000) and the location of nearby garment manufacturing shops. This area is an economic and socio-cultural cornerstone of Chinatown, thronging with Asian-American shoppers and popular with tourists from all parts of the world. Carlos’ “ethnographic analytic and diagnosis method and historic-hermeneutic approach” research was eventually used to create a video-documentary, as well as creative and participatory education tools for environmental empowerment. Other supporting Green Maps were created for this research and included in Carlos’ thesis paper. Download the map using the link on the left! 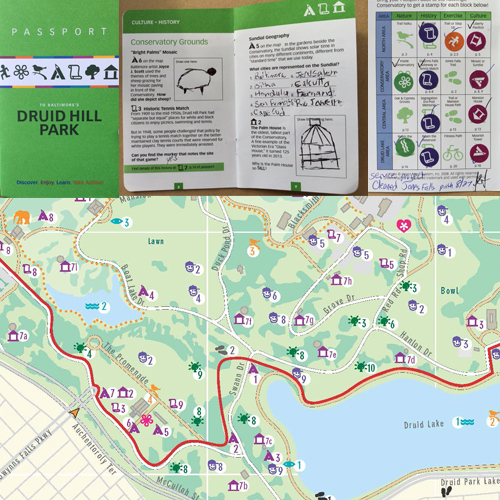 Some of the aspects addressed in this Green Map project were: mobility (bike lanes, pedestrian zones, bike racks, bridges, plazas, mass transit stations), tourist info (kiosks, museums, etc. ), special places (parks, community gardens, public art, churches) and many more with special consideration on public spaces. You can also download a Green Map made in Carlos' hometown in Pereira Colombia. 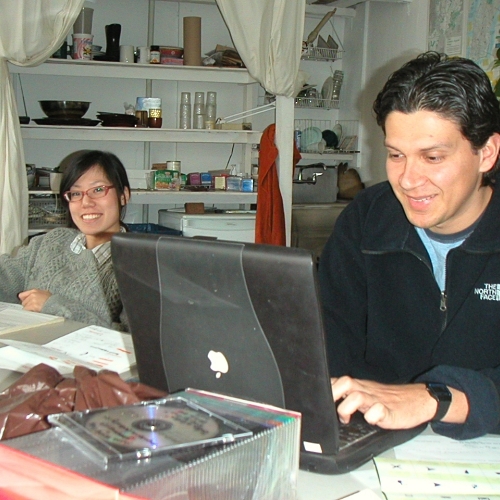 That's Carlos and Aika Nakashima at work in Green Map's Essex Street office. In 2015, Carlos joined our Board of Directors and is now Deputy Director of GreenThumb, NYC's Parks community garden division!